The name, Nothing But A Pigeon, is a reference to a boy who used to tease Taylor Hart back in Ohio. He’d tell her she was a “plain Jane,” and she would amount to “nothing but a pigeon.” If only that young boy had known that Hart would successfully build a hobby into a full-time career. 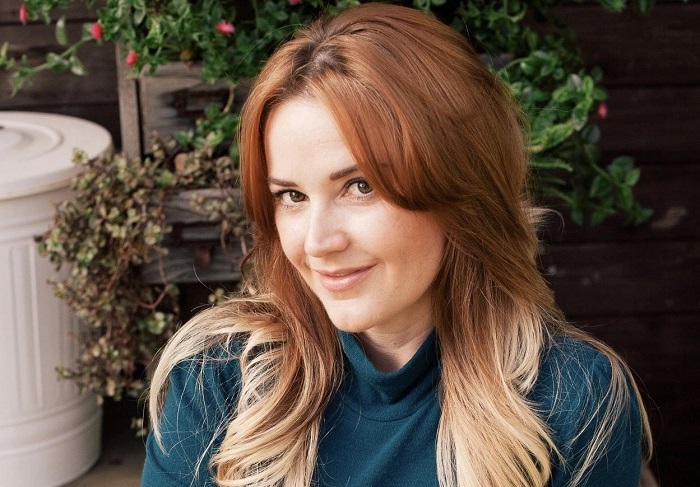 When Hart first moved to Austin, she had a job that left her with plenty of free time. So she decided to learn how to crochet. 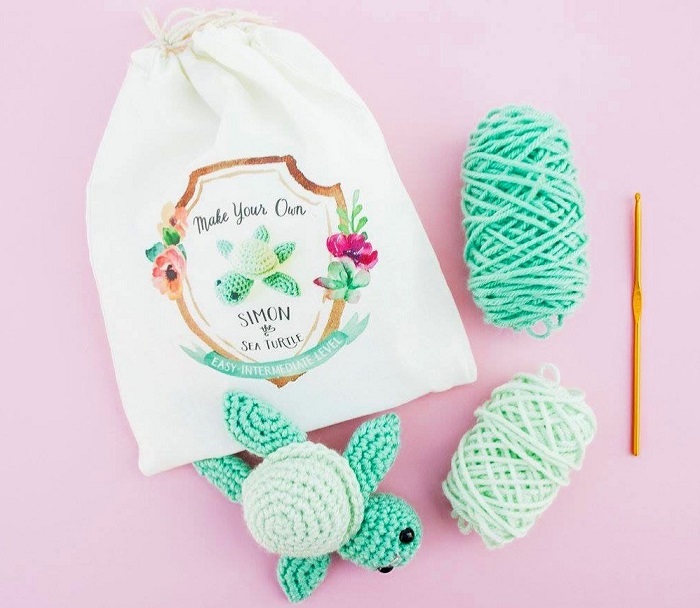 She quickly mastered her first kit, which included five patterns, and decided she wanted to learn everything there was to know about crocheting. Family members and co-workers started asking her for toys, and she realized she could start selling them. The business came about after a failed attempt at a fox pattern. Hart tore the head off in frustration and left it in the kitchen. Her husband came home and joked that she should put the tiny fox head on a plaque. After a bit of tinkering, the head was on display in their living room. Visiting friends and family got a kick out of it. Thus, Hart’s crochet taxidermy was born. Nothing But A Pigeon can be found at Parts & Labour, Toy Joy, A-Town, The Paper + Craft Pantry, Wee Modern Baby Boutique, and Etsy. Hart is taking a break from trade shows this year (with a baby on the way and a new house to fix up in Bastrop), but she still plans on doing workshops at Parts & Labour and The Paper + Craft Pantry. 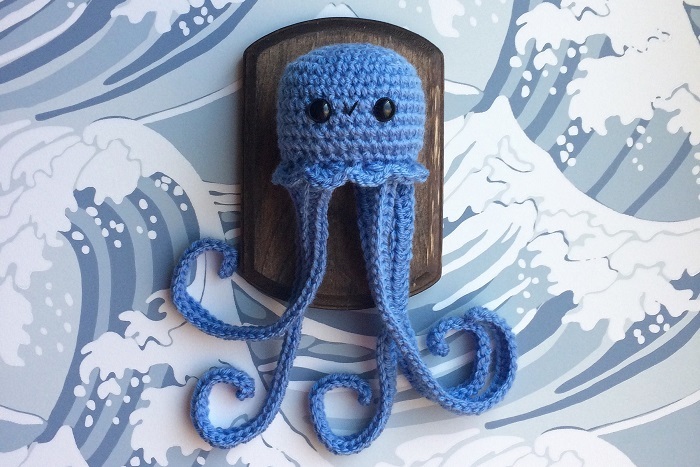 What animal would you want made into a crocheted masterpiece? Irvianne Torremoro is a service industry professional and founder of Flavor & Bounty, where she enjoys sharing stories about food, drinks, and getting to know the people of the craft. She’s willing to hug all the animals, talk Beyoncé, and be your BFF.